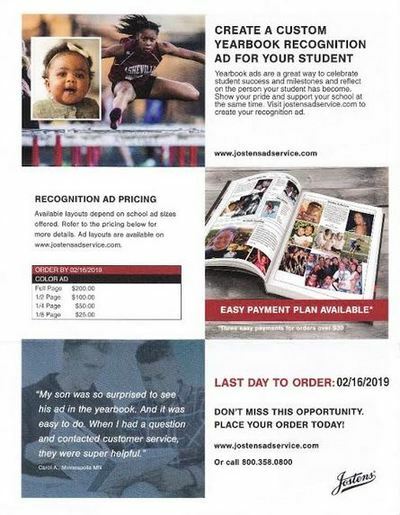 The deadline to purchase a Senior Recognition ad for the yearbook is 2/16. These are not just for parents. Students can post an ad with their friends or businesses can post an ad as well!